If you ask about people’s favorite German city, I guess very few would mention Stuttgart. At first glance, there’s not much there, Stuttgart is rather an industrial city and not a typical one for tourists. There’s stuff to see here – cool stuff! My brother worked in Stuttgart for half a year so we grabbed the opportunity to visit him and this place, too. The next question was: what’s worth a visit in Stuttgart? After we took a closer look at the whole area, our worries diminished as we realized that our 5 days of stay will be fully packed with cool stuff – and so it was. 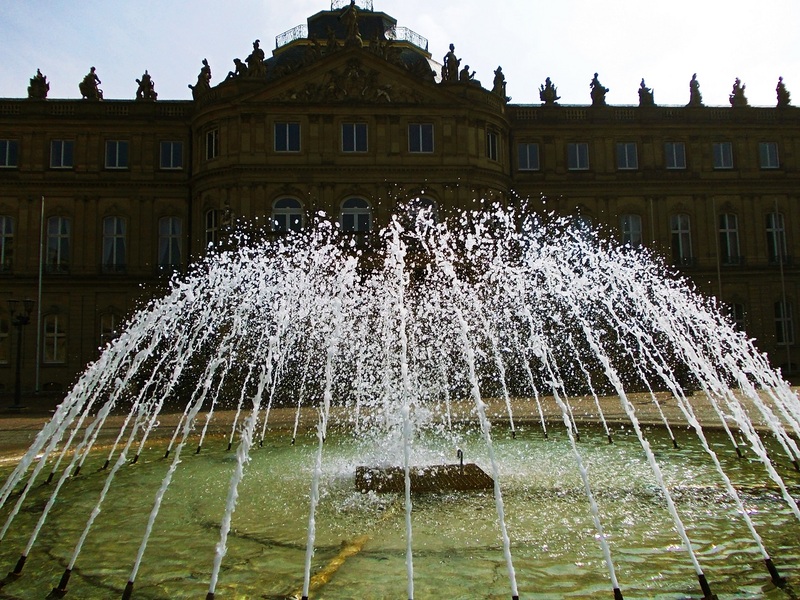 Schlossplatz is the most beautiful place in Stuttgart! It reminded me of London’s Trafalgar Square a bit because of the two symmetric fountains and the high statue in the center. Just right behind them there’s a charming castle, the Neues Schloss and on the corner of the square the old castle – rather a fort – can be seen. Unfortunately, Neues Schloss is not open for tourists. The old castle can be visited, but there’s an agricultural museum inside – honestly? That didn’t sound interesting to us at all. Most of the nice classical buildings in the city can be found near Schlossplatz. Even the shopping center looks like a museum from outside. Königstrasse, the main shopping street is also worth a walk. Rosensteinpark is a huge green area with some nice ponds and streams, also not far from Schlossplatz. Grabkapelle is a small chapel located in the suburb on the top of Württemberg Hill. The building itself is pretty, but what we liked the most about this place is the panorama of Stuttgart. Mercedes-Benz Museum is definitely a place you have to see if you visit Stuttgart. This nine level modern building is amazing even from the outside and it offers a lot inside! It covers 125 years of auto industry history from its very beginnings to the present. Okay, maybe this doesn’t sound like fun, that was our first thought, too. None of us are very interested in cars – other than using them for travelling -, but this museum was highlighted everywhere when we read about Stuttgart, so we decided to give it a chance. And we were so surprised that we really enjoyed this interactive, audio-guided tour! Besides we saw Princess Diana’s car, the pope mobile, the most fancy sports cars and many other interesting models. Interactive corners are fun, too, both for children and adults. Wilhelma – originally a royal palace – is a huge zoo and botanical garden nowadays. With over 1000 species of animals and 7000 species of plants it’s notable not only in Germany but worldwide. We spent a long, fun day here admiring the variety it offers. We found the castle atmosphere very special and we loved the cute baby animals – spring was the best time to go! Waiblingen is just 15 minutes ride from Stuttgart by S-Bahn and it has such a charming little old town! Walking on the streets we felt that those pictures we’ve seen about old German small towns came alive. The old town entrance tower, town hall, street fountains, small street market and all the beautiful buildings may not sound so special because every town can have them, but this place really has an atmosphere. We spent such a wonderful morning here and actually, we liked it even better than the city center of Stuttgart. A palace with 450 completely furnished rooms? That’s something! Ludwigsburg is one of the largest Baroque palaces in Europe with an enormous garden and visiting it was definitely the highlight of our stay in the Stuttgart area. The palace can only be viewed as part of a guided tour – and we found that’s a good thing! Tour times are frequent (English tours, too), there’s no need to book in advance and our tour guide was such an enthusiastic and well-prepared woman. She knew every little detail not only about the palace, but also stories about the people who once lived there. So the guided tour was much more entertaining than we expected – and definitely far more interesting than just walking through the rooms on our own would have been. Ludwigsburg is easily accessible by S-Bahn from Stuttgart, so this couldn’t be an excuse to miss it. Definitely Schlossplatz and Mercedes-Benz Museum. 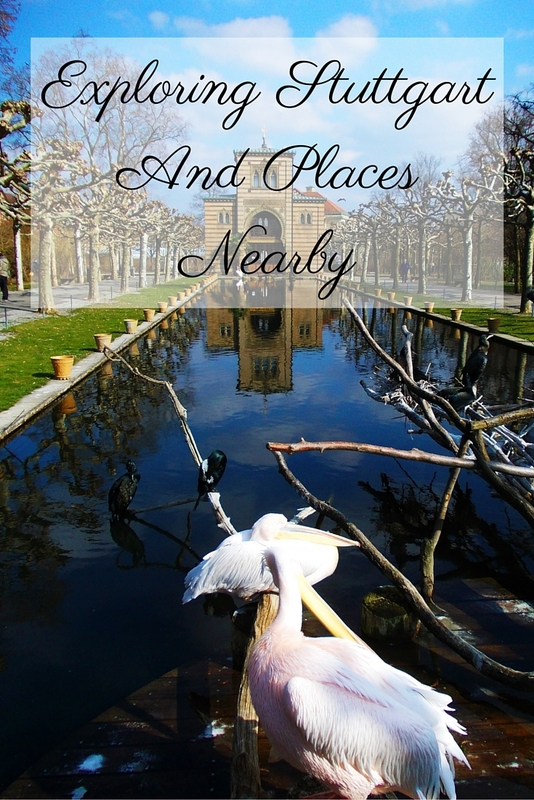 But if you are madly in love with beautiful palaces, then you should spend that day in Ludwigsburg. Do you have a favorite city in Germany? What do you like about it? Did you enjoy this post? Want more? Subscribe to our monthly newsletter, and get travel tips, stories and more. Previous post Why Should You Visit Seattle?